Justin Hines & The Dominoes, John Holt, Hopeton Lewis, John Holt & U Roy, Bunny Brown and more. 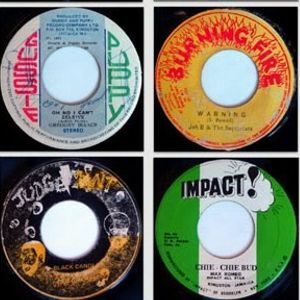 Connoisseurs Corner 3 every playing the Best of the Best Reggae legends of Toasting like U Roy, I Roy and Big Joe along side Reggae Rub-a-dub classics from john Holt, Hopeton James, Gregory Isaacs, Marcia Griffiths and much, much more. Listen back at your leisure to Authenic original Vinyl classics www.ukrootsfm.com.com link via Twitter & FB errolldee vinyl collection for the connoisseurs. Sound Selector. Fantastic selection from way back when!!!!! Bring back the 70&apos;sssssss!!!! !